Newly appointed Secretary of State Mike Pompeo had every reason to expect that his first official appearance before the Senate Foreign Relations Committee would be the usual slam-dunk as mostly obedient, respectful Senators aligned with his testimony. Besides fraternizing with America’s most privileged citizens, endless rounds of lavish Capitol Hill receptions, wide ranging international travel opportunities (aka junkets), a liberal vacation policy and exorbitant benefits out of step for the minimal accomplishments actually achieved, the current Senate paradigm has allowed too many Members to degenerate into a protuberance of greedy, sniveling, weak-minded buffoons with no genuine regard for their constituents or what was once the greatest democracy on the planet. Days earlier, as the nation’s top diplomat, Pompeo delivered the Trump Administration’s controversial “After the Deal: A New Iran Strategy” in a decidedly undiplomatic speech to a less than enthusiastic audience at the Heritage Foundation. That aggressive strategy included a dozen doomed-to-fail, untenable demands that were little more than a precursor for military intervention and regime change. 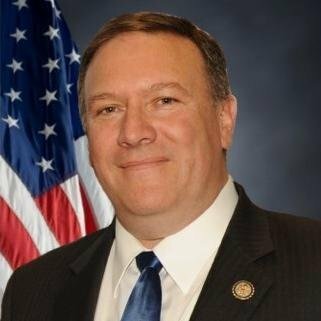 Before the hearing began, Pompeo unexpectedly read a crude letter from President Trump to North Korean leader Kim Jong Un cancelling the June 12th summit citing “tremendous anger and open hostility” and concluded with the moronic “If you change your mind …, please do not hesitate to call or write me.” To date, Trump has softened his stance against a meeting and hints the June summit may occur on schedule. As the hearing began, most Senators expended their allotted time by steadfastly avoiding the massive foreign policy blunder that had just been dropped in their laps. The following excerpts focus on two Members, Sen. Rand Paul (R-SC) (1:58) and Sen. Ed Markey (D-Mass) (2:19/3:27) since they had the most extensive dialogue with Pompeo and because they gave Pompeo the most grief. Sen. Jeff Merkley (D-Or) (3:34) and Sen. Tom Udall (D-NM) (3:15) questioned implications of the upcoming Authority for Use of Military Force (AUMF). Pompeo was Stunned and the Silence was Deafening. Pompeo had absolutely no reaction to Paul’s devastating analysis of US foreign policy in the Middle East, offering no explanation, no excuse, no correction or thoughtful response; nor did any other Senator present dare step into the swamp. From there Markey and Pompeo bantered back and forth with Pompeo consistently failing to grasp the connection between Qaddafi’s 2003 disarmament agreement and US military interference in Libya in 2011 that resulted in Qaddafi’s death as sufficient reason for North Korea to feel threatened. No matter how precise the clarification, Pompeo continued to respond as a dense, one-dimensional thinker unable to wrap his mind around logic that challenged his view of a simulated reality, as if looking at the same object through a different lens. Committee chair Sen. Bob Corker (R-Tenn) agreed with Markey. Markey continued until Sen. Corker gaveled his time had expired. As the Foreign Relations Committee contemplates an upcoming markup and vote on a Forever AUMF next week, it will be a time for other Committee Senators to step outside the Matrix and dig deep to find their own moral fortitude.